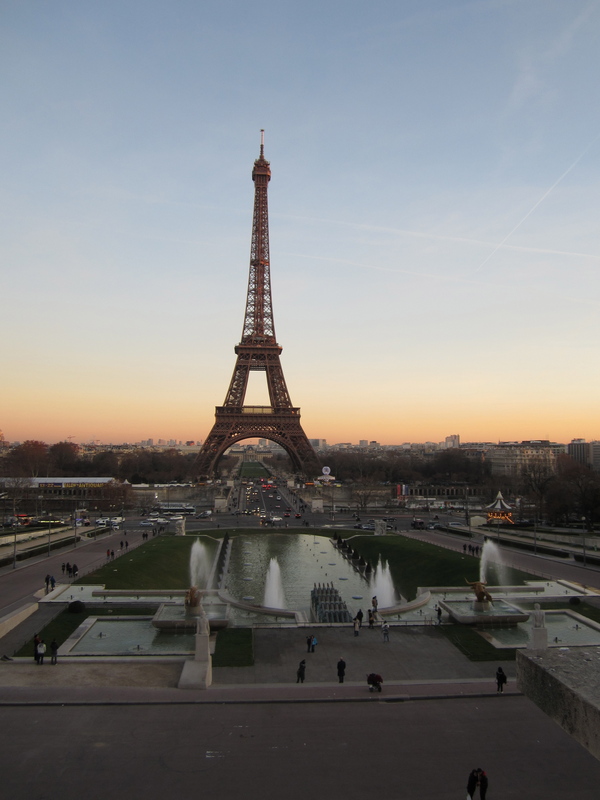 I have a special treat for the kids back home in the States: a photo tour of the Paris scenes in one of their favorite books, Stealing Magic (Random House 2012) by Marianne Malone. In addition to my year-long adventure in Paris, I am also a bookseller back in the United States. Some of my bookstore’s most popular children’s books are by Illinois art teacher and author Marianne Malone, including 68 Rooms and Stealing Magic. Malone’s books start out in the Thorne Miniature Rooms at the Art Institute of Chicago. During a field trip to the “68 Rooms” at the Art Institute, Malone’s young characters find a magical key that enables them to shrink and time travel through the miniature rooms. In Stealing Magic, the children time travel through Thorne Room E-27, French Library of the Modern Period, 1930s, and find themselves in Paris during the 1937 World’s Exposition. They tour the fairgrounds located at the feet of the Eiffel Tower and befriend a young Jewish girl named Louisa. When Ruthie and Jack time travel back to the United States, they realize they must return to 1930s Paris to warn their friend Louisa about the rising Nazi threat in Europe. It’s a wonderful story with a blend of history, danger, art and adventure. 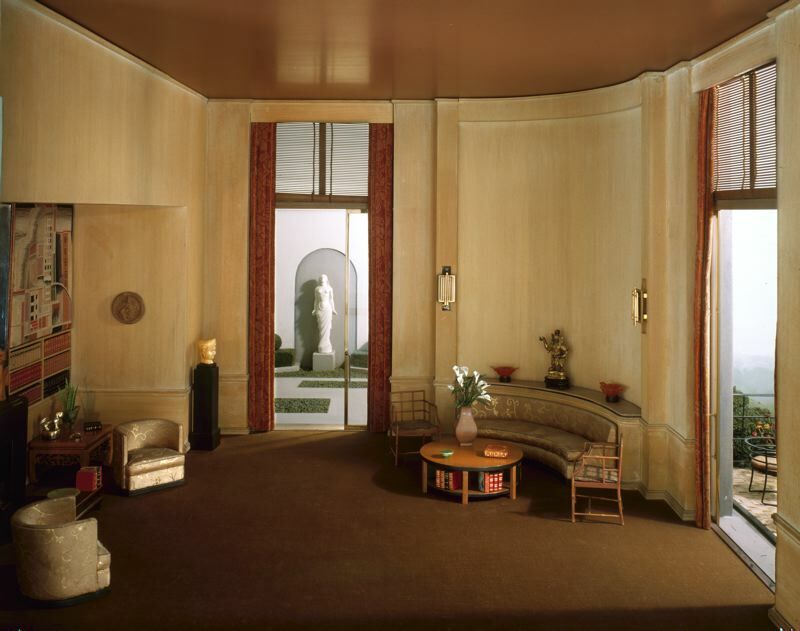 Thorne Room E-27, French Library of the Modern Period, 1930s, Art Institute of Chicago. 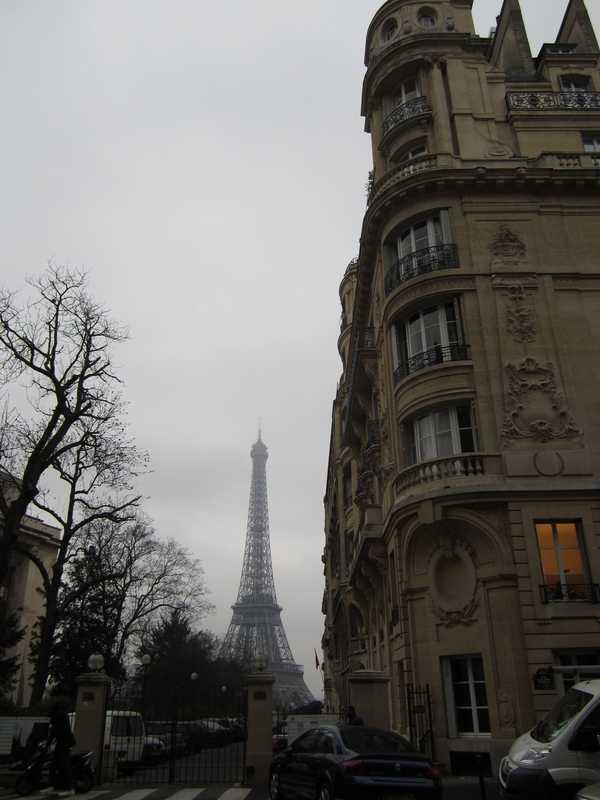 As a treat for all of the 68 Rooms fans back in the States, I mapped out the scenes in the book, and took my camera to the Trocadéro neighborhood for a Stealing Magic literary tour of Paris. rue Le Tasse, the location of Louisa Meyer's apartment in Paris. Louisa and her family lived on a quiet, private street in a very nice neighborhood. 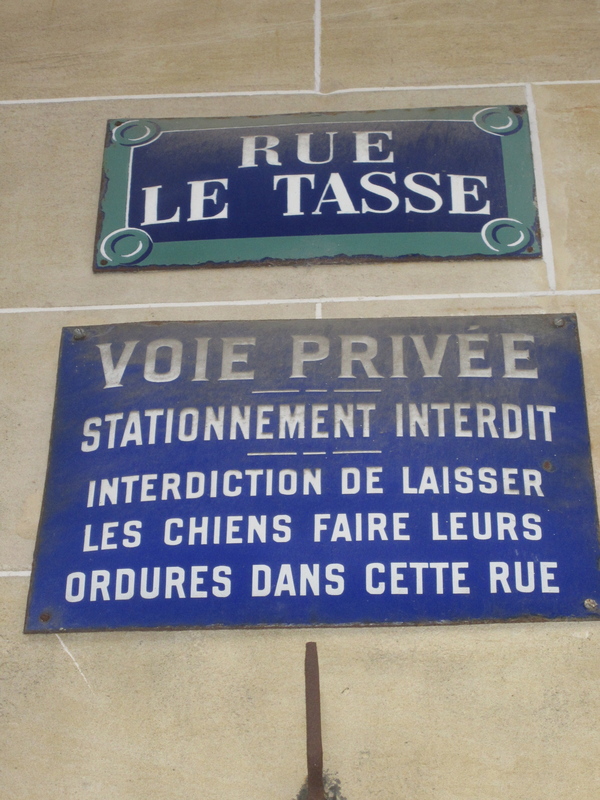 So nice, in fact, that dogs are prohibited from "doing their business" (les chiens faire leurs ordures) on the street. After Louisa meets Ruthie and Jack, she shows them where she lives: "She pointed across the park to a row of beautiful buildings." . . . "Number seven, rue Le Tasse. Second from the end. . . ." From rue Le Tasse you have a beautiful view of the Eiffel Tower. See all of the fancy decoration on the building facade? Doesn't it look just like the illustration in the book? 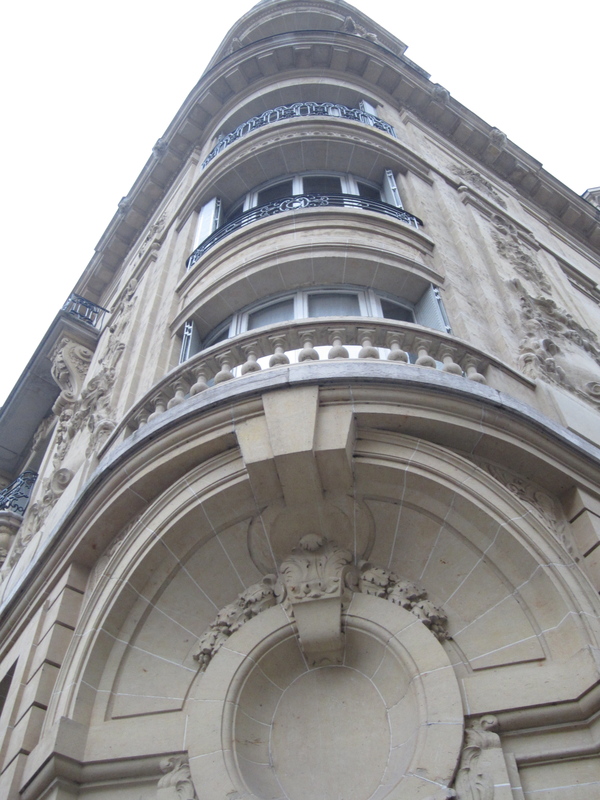 Louisa waved at Ruthie and Jack from her balcony of her apartment at 7 rue Le Tasse (p. 175). The view of the Eiffel Tower from the Trocadéro. 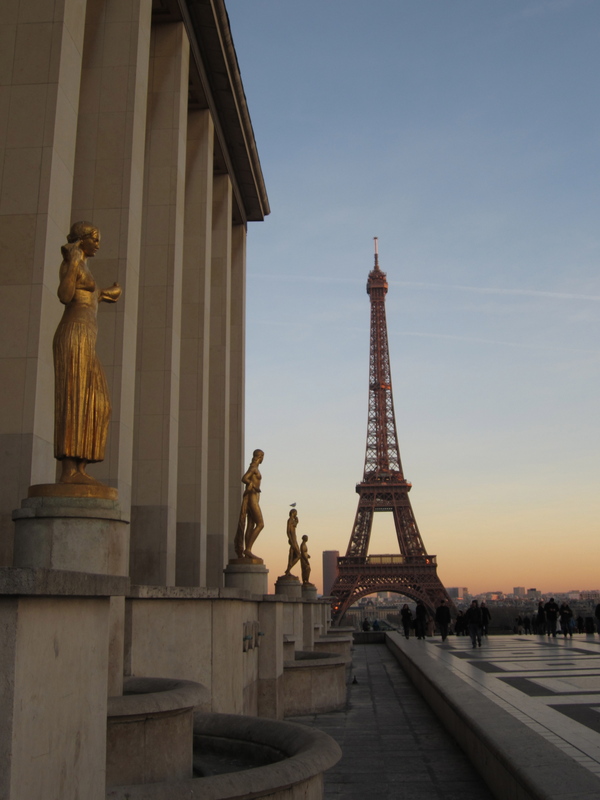 Jack and Ruthie would have seen many more buildings near the base of the Eiffel Tower than we see today, including the German and the Soviet pavillions that were build for the 1937 fair. Most of the buildings from the World's Exposition were torn down afterwards. Ruthie and Jack's view of the Jardins du Trocadéro and the Eiffel Tower. "A long, rectangular fountain ran down the center of the gardens, its jets spraying water dramatically into the air. The ground sloped to the Seine River and a bridge that people walked across to the Eiffel Tower." Marianne Malone does a wonderful job of portraying Paris life in the 1930s, from the baguettes in the bicycle baskets to the fashionable women in their high heels and skirts. I couldn’t help but smile when she described the small elevator in Louisa’s apartment building: “the accordion-style metal gate . . . only big enough for two,” because for me, that lovely little detail seems to capture the essence of Paris apartment life, whether it’s 1937 or 2012. Stealing Magic also teaches grade school children about Nazism and the Holocaust in an age appropriate way. When Louisa’s mother expresses her disbelief about the danger and says: “But surely Hitler can’t control Paris,” we are reassured that Ruthie and Jack know better. It makes for a good story, and at the same time, a valuable learning opportunity. I highly recommend Stealing Magic and I hope you enjoyed the photo tour. This entry was posted in Book Review, Literary Site, Paris Books, Paris History Site and tagged Art Institute of Chicago, Jardins du Trocadéro, Marianne Malone, Paris World Exposition 1937, Stealing Magic by americangirlsartclubinparis. Bookmark the permalink. I have to get these books – I fell in love with that museum when my parents took me there when I was a child – and these books sound marvelous!